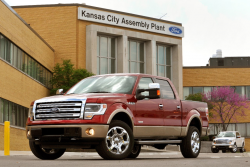 Ford recalls 391,000 Ford Ranger trucks to replace Takata driver-side airbag inflators. January 26, 2016 — After learning a Ford Ranger driver had been killed by an exploding Takata airbag, Ford is recalling over 391,000 Ranger trucks in the U.S. and Canada. Ford says the 2004-2006 Ford Rangers have dangerous driver-side Takata airbags that will be replaced. Almost 362,000 of the trucks are in the U.S. and 29,334 are recalled in Canada. The recall was ordered after 52-year-old Joel Knight was killed while driving a 2006 Ford Ranger in South Carolina. The truck struck a cow in the road and traveled off the road and hit a fence. 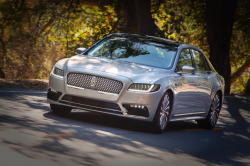 Knight was pronounced dead at the scene and it was determined the Takata airbag inflator had exploded, sending shards of metal into Mr. Knight. Ford recalled Ranger trucks in 2014 and 2015 to replace Takata airbags, but one of those recalls was only a regional recall for trucks in Florida, Puerto Rico, Hawaii and the U.S. Virgin Islands. The recalled Ford Ranger trucks were built March 24, 2003, through May 4, 2006. Mailing of owner notification letters is expected to begin March 7, 2016, and be completed by March 11, 2016. 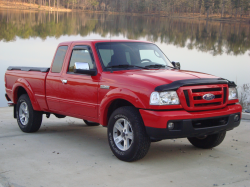 Owners of the 2004-2006 Ford Ranger who have questions or comments can contact Ford at 866-436-7332. 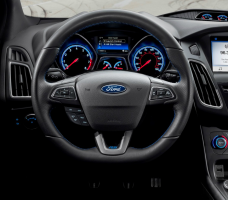 The Ford Ranger airbag recall is the first of many recalls that will soon be announced by numerous automakers after Takata said another 5 million vehicles need to be recalled. CarComplaints.com has complaints about the 2004 Ford Ranger, 2005 Ford Ranger, 2006 Ford Ranger and many other model years of Ford Ranger trucks.